At this time of year, chocolate is everywhere and the temptation can be difficult to resist. But would it really be so bad if you said yes every now and then? Well actually, there are several reasons why we think you should. Whilst most chocolate is full of sugar and milk and does nothing for your waistline, it doesn't have to be that way. Dark chocolate is full of antioxidants and there are other benefits too. 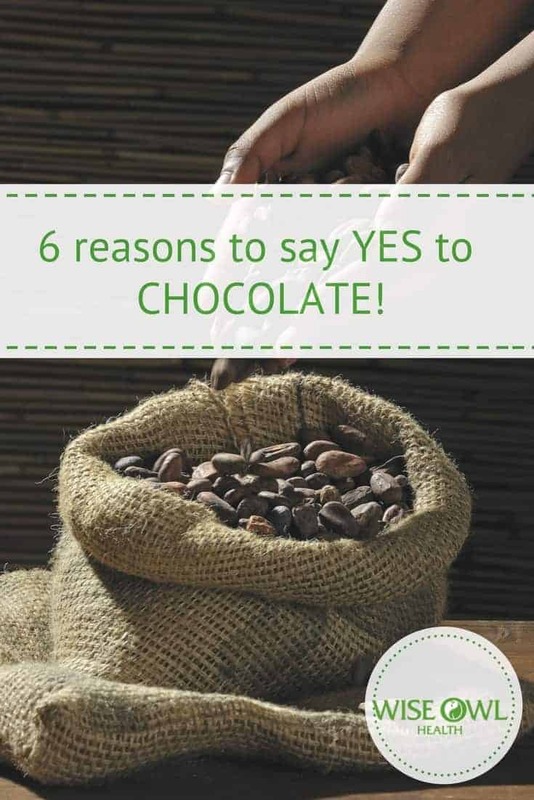 But if even if only milk chocolate will do, read on to find how it could help you if you eat it right. High blood pressure can put you at increased risk of a heart attack or stroke. Dark chocolate contains flavonoids which are widely accepted to be helpful in reducing blood pressure. Various studies have indicated that people who consume a small amount of dark chocolate every day see a lowering of blood pressure and an improvement of heart circulation. Whatever sort of chocolate you enjoy, this one's for you. Mindfulness is becoming an increasingly popular practice and the NHS recommend it to improve mental wellbeing. A popular first step to mindfulness involves eating a small piece of chocolate. Focussing on the environment around you, the feel of the chocolate and the sensations as you eat it. You can find full instructions here. I know right? I was as shocked as you are. But according to Women's Health Magazine, eating dark chocolate can actually help with weight loss. This is because it's so much more filling than milk chocolate. Eating a small amount will make you feel full and reduce your cravings for sugary, fatty and even salty food. So consuming chocolate makes it easier to stick to small portions and improve your overall diet. According to Cosmopolitan, eating 40g of chocolate each day for a fortnight led to lower levels of the stress hormone cortisol in participants in a study. Chocolate contains compounds that increase the body's level of anandamide. This counteracts the effects of cortisol, helping you to relax. 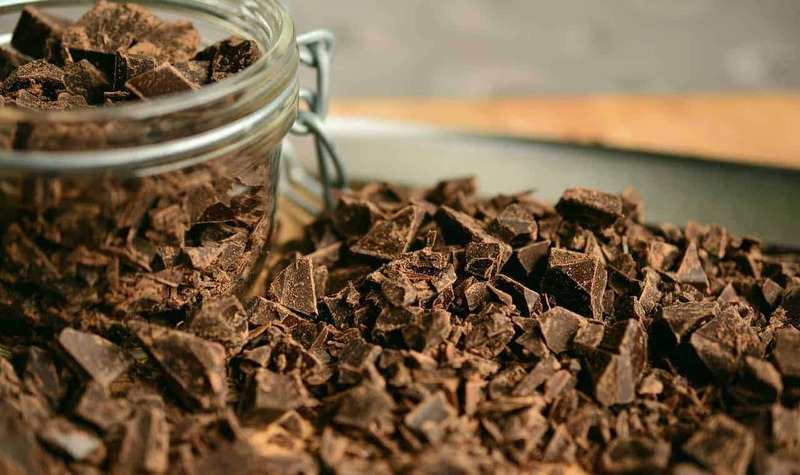 The flavanols in cocoa are beneficial to keep you awake and alert. Additionally, a small study showed that participants performed better in maths related tasks if they had consumed dark chocolate. The Guardian have recently reported that poor gut health could be responsible for insomnia in many people. One of the solutions they suggest is improving your diet. They suggest eating more berries, green tea, nuts, seeds and dark chocolate. Gut health can have an impact on more than just your sleep cycle. Digestive health issues include heartburn, indigestion, changes in bowel habit and abdominal pain. The causes include diet and stress, but there is a simple solution. 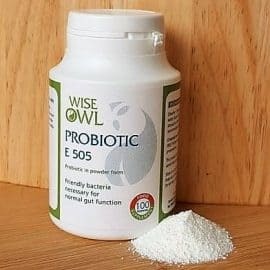 Wise Owl's food state probiotics reach the gut alive because you rehydrate them in water before use. This returns them to their most active phase BEFORE they reach stomach acid. Taking them on an empty stomach also helps to prevent additional stomach acid from being produced, which would destroy the probiotics. . Wise Owl's probiotic supplement includes a small amount of the beneficial prebiotic FOS (fructo-oligosaccharides). When prebiotics and probiotics are combined, they form a symbiotic relationship, with prebiotics providing the fuel that probiotics require to thrive. "After months of digestive issues & trying all sorts, from strict dietary changes to proton pump inhibitors, I have finally got on top of it – if only I’d tried this before! I feel so much better in myself as well!" Studies are correlating the effects of gut bacteria on brain function and Alzheimer's Disease. Research in California* has concluded that Parkinson's Disease could be affected or even caused by bacteria in the gut & probiotics may have beneficial effects.